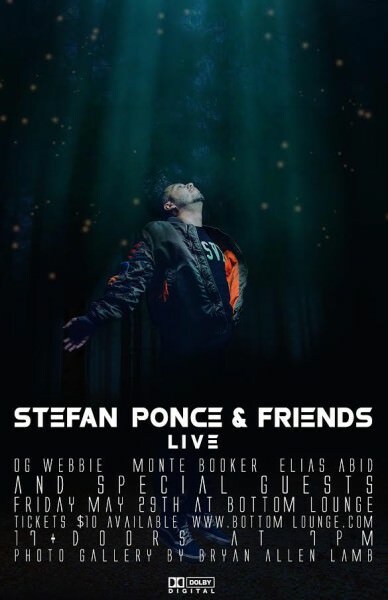 This weekend one of Chicago’s dopest producers/DJs, Stefan Ponce is throwing down with his friends OG Webbie, Monte Booker & Elias Abid at the Bottom Lounge! Be there May 29th Doors at 7pm/Show 8pm 17+ and its only $10. If you don’t know of Stefan by name chances are you know some of his discography. Stefan Ponce has worked with the likes of Chance the Rapper, Vic Mensa, Childish Gambino and more. Most recently he is responsible for Vic Mensa track “U Mad,” featuring Kanye West.